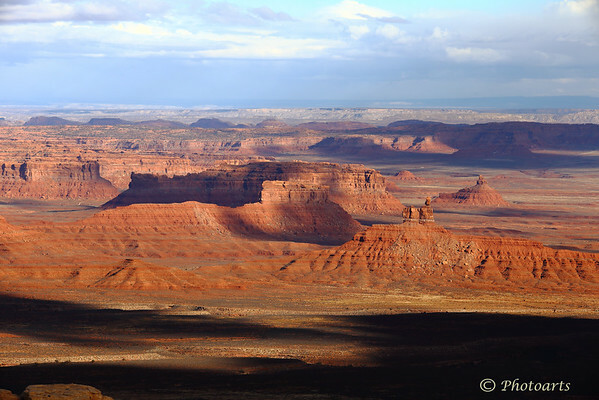 Aptly named Valley of Gods in southeast corner of Utah, viewed from the heights of Moki Dugway, provides a perfect canvas for shadows to dance in its vast expanse as its buttes reach skyward! Fantastic view, you can see for miles. Impressive view! Nice composition and fine details.